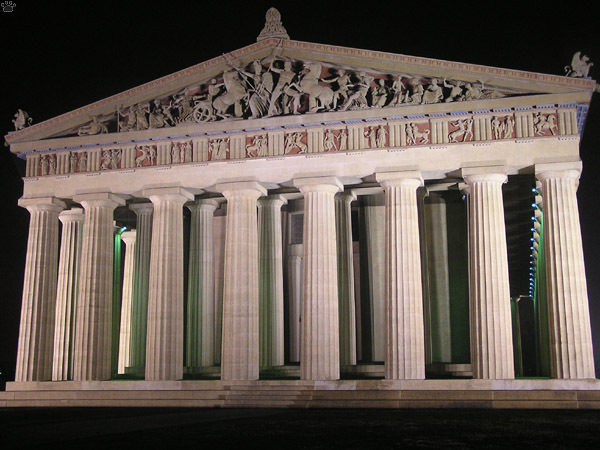 Parthenon in Nashville, c. 1920. We all are used to the Parthenon in Athens looking all white and crumbling, but that's not what it's supposed to look like. A life-size reconstruction, claimed to be very accurate, exists in Nashville, Tennessee. 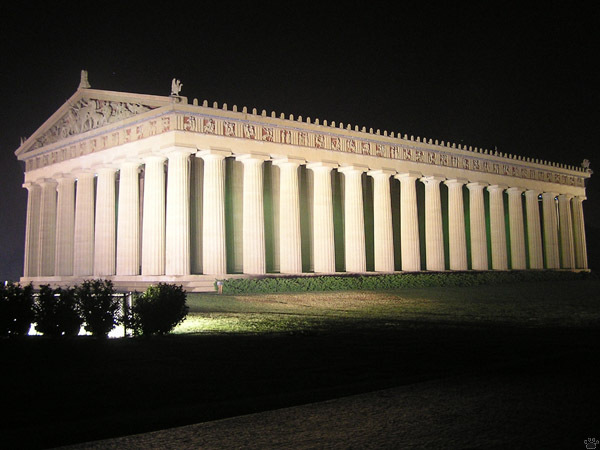 Parthenon in Nashville, frontal view. 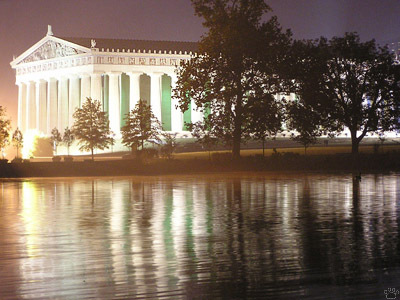 The building is located in Centennial Park, and serves as an art museum. Local theatre grups often use it for performances of Classic plays. Looks pretty impressive and, in my opinion, very beautiful. No wonder the original has inspired architects for 25 centuries!. 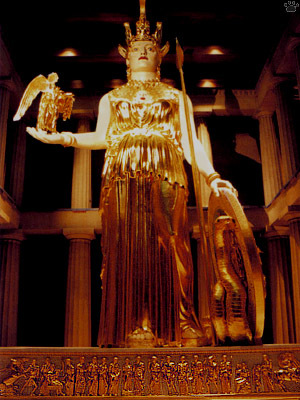 Statue of Athens, Parthenon in Athens.